Switch accessible Radio Controlled Car. 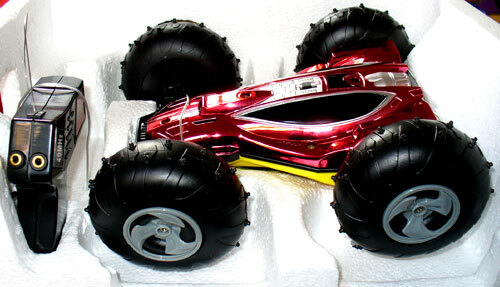 A basic but fun Radio Controlled Car that runs both sides up. 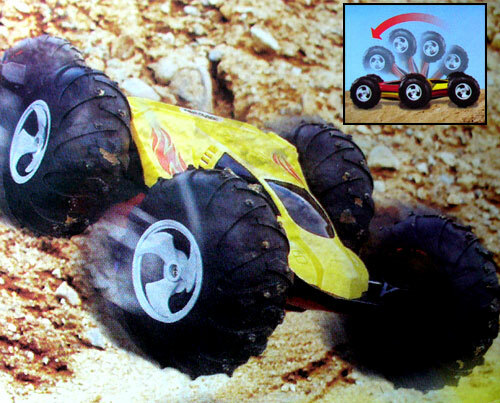 Very easy to flip 180 degrees with oversized tyres for use off-road. Connect an accessibility switch to activate forward, and use another to activate reverse turn. Activate using the hand-set or via two plug-in accessibility switches. 4 x AA and 1 x 9 volt battery required (not supplied). N.B.Has a short radio range (about 20 ft.) so the user needs to be close by.